As one of the largest countries in the world, China has a diverse terrain, including deserts, mountains and subtropical forests. China is one of the world's most populated countries and is home to 56 different ethnic groups. The culture of the Han people dominates most of the country, particularly the big cities. However, the influences of such groups as the Manchus and the Mongolians, which have both ruled China at one point, are also prominent. From western-influenced territories like Hong Kong and Macau to the equally modern, but still very Chinese, cities of Shanghai and Beijing, there is much to see in this fascinating country. Note: This information relates to American citizens or other travelers who will obtain their visas from the U.S.
You will first need to identify the China consulate or embassy affiliated with your state and work with the correct location. To apply for a visa to visit China you will need to compete an application form, which you can either download and fill out at home or ask for one at the appropriate consulate or embassy and fill out at the premises. You can't apply for a Chinese visa via mail. All offices are open Monday to Friday and will require you to hand in the application between 9.30 a.m. and 12.30 p.m. Assuming your visa is approved, it will usually be available four days after you apply and can be picked up between 2.30 and 3 p.m. on business days. A copy of the passport's information page and a 2 x 2 inch photo. As of November of 2013, it costs $140 for for a tourist visa for up to 12 months, including visas with multiple entries. It usually it takes four working days to process the visa, but if you are willing to pay an extra $50 you can receive receive your visa the same day you apply. For an extra $30 you can get it in two or three days. Visas can be paid for with a Visa, MasterCard, check or money order. Please note that cash is not accepted, nor are company or personal checks. Summers and winters in China are very hot and very cold respectively, so the best time to visit is either in the spring or in autumn when conditions are milder. If you want to visit during the summer, however, the coolest parts of the country are high altitude regions such as Emei Shan in the Sichuan province. During the winter, the warmest areas are in the south and southwest of the country in areas such as Yunnan. The biggest health concern in China is the air pollution. It can reach such dangerous levels that on some occasions the authorities have had to advise people to stay indoors. The World Health Organization states there is "sufficient evidence" that exposure to outdoor air pollution causes lung and bladder cancer and you will see some Chinese people wearing masks that cover their mouths and noses. Pollution is not the only concern. As in most developing countries, it is advisable to wash all fruit before eating it and to avoid drinking tap water. Most shops sell bottled water. China has an excellent transportation system. China's train system covers 52,0000 km of the country. It includes older trains that creep along and bullet trains that arrive at their destination in less than half the time. Make sure you book well in advance. Unless you understand Chinese it is best to book at the train station. If you are traveling for more than 12 hours you will probably want to book a sleeping carriage. Hard sleepers offer bunks in open compartments and are the cheapest option. Soft sleepers have fours bunks in a closed compartment. There are also soft and hard seat options. Buses are a lot slower than trains, but are an excellent way to see the village life you would otherwise miss. You can book luxury and sleeper coaches that travel between cities and usually include a film and food. However, as Lonely Planet states, breakdowns are not uncommon. If you are traveling to a high altitude region it is advisable that you bring warm clothes. Major cities such as Hong Kong, Shanghai and Beijing have extensive and very cheap subway systems. Shanghai and Hong Kong both have bus services that run after the subway closes at around midnight, but in Beijing all public transportation shuts down around 11.30 p.m. After that you will have take a taxi. At 10 Yuan (around $1.50) per kilometer, subways are still very cheap. Though English language learning is big business in China, English is only really spoken to a reasonable standard in tourist areas and then mostly by the younger generation. The majority of people can only speak Mandarin or a derivative of that language (there are eight major dialect groups). If you want to communicate effectively during your travels, it is a good to learn a few Chinese phrases. Just don't expect to pick up the language quickly. With its tones and characters, Chinese is one of the hardest languages for English speakers to learn. The Chinese currency is Yuan (also known as Renminbi). As of December of 2013, there are 6 Yuan to a dollar. The Yuan is hard to come by outside of China, so if you want to exchange money you can exchange it at a bank or an exchange booth when you are in the country. Your best option, however, is probably to withdraw money from ATM machines. The charge for international transactions depends on your bank, but they usually charge a set amount for each withdrawal, no matter how much you take out . Keep your exchange receipts if you want to change your Yuan for another currency at the end of your trip. As befitting the fastest growing economy in the world, Chinese cities have banks on virtually every corner, most with a 24-hour ATM. If you find yourself struggling to find an ATM, head to the equally plentiful shopping malls. They usually have three or four machines the entrance. Most machines have an English option and will accept all major cards. You will probably need cash as many shops and restaurants, even in Beijing, do not take charge cards other than the China UnionPay card. Travelers checks are worth taking when you travel to China. You can use them at hotels and cash them in at China's major banks such as Bank of China. Like most countries, China has Western Unions and Moneygrams scattered throughout the country. China is a proud nation, and rightly so. They have the oldest surviving civilization in the world. Even Communism has done little to stifle the history and unique character of each of the country's 22 provinces. 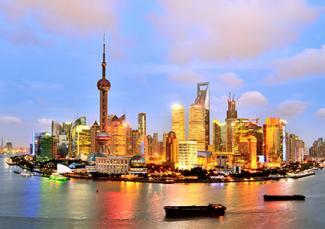 As a port city with a large foreign population, Shanghai has often been left to its own devices. As you will find in the Shanghai History Museum, this was not only where the British shipped in opium, but also where opium dens still existed long after the government banned them. In the Bund, the center of the city, you will discover an incredible variety of bars and museums and some stunning art deco architecture. 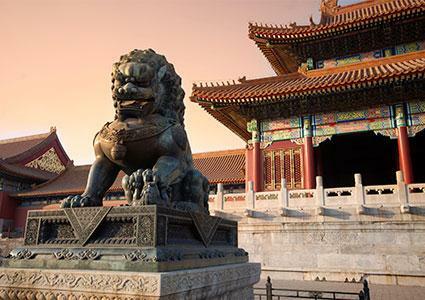 As a place of history, both ancient and recent, Beijing is one of the most interesting places to visit on earth. As well as the nearby Great Wall of China, there is the Forbidden City, the Summer Palace and Tiananmen Square. For those interested in art you can visit 798 Art District, a collection of East German style warehouses that houses some of the country's best and most daring contemporary work. Sichuan is the one Chinese province most westerners will recognize by name. It is home to some of the countries best cuisine, most of it quite spicy, including Sichuan chicken. The capital of the province is Chengdu. While not the dominating presence of Beijing or Shanghai, it still has its share of bars, restaurants, clubs and tourist attractions, including the famous Giant Panda research base. Another city called Leshan holds the biggest Buddha statue in the world. There seem to be two views on Tibet - the view of the Chinese and the view of the western world. The Chinese believe they have helped liberate the country and everyone else, including the Tibetans, believe the Chinese have oppressed the Tibetan culture - or, as the Dalai Lama has said, "created cultural genocide." Nevertheless, Tibet seems to have held on to enough of its identity to garner rave reviews from visitors. To get to Tibet you will need to apply for an entry permit when you are in China. 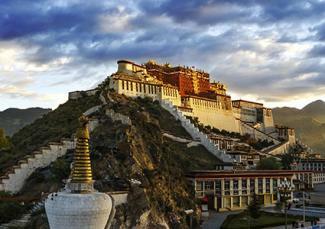 For those interested in religion, particularly Buddhism, Tibet's holy city Lhasa is the place to go. The Dalai Lama sleeps in one of the thousands of rooms in the magnificent Potala Palace. Built in 775 AD Samye, the oldest monastery in Tibet, somehow still keep its calm, peaceful character. If you want to soak in the atmosphere for longer than a few hours they even have rooms where you can stay the night. The Mount Everest base camp is only a 2-hour walk from Tongbuk Monastery, located in the Shigatse region of Tibet, though it's only 15 minutes if you take a land cruiser. Bear in mind the base camp is known as a closed area and you will need to apply for a travel permit. The island of Macau was colonized by the Portuguese and their presence is evident in many of the buildings and even in islanders' way of life. The Italian Jesuit that designed the impressive Church of St. Paul was one of many Catholics fleeing the Japanese persecution. Though now only a ruins, Lonely Planet calls it the"most treasured icon in Macau". With stone carvings including the moon, sun and implements of the crucifixion it is easy to see why. Inside Monte Fort lies the excellent Macau Museum, which takes you through the history, customs and contemporary life of the island. Gambling is illegal everywhere in China apart from Macau where they have over 24 casinos. After the first opium war, Britain took over Hong Kong on a 99 year lease that expired in 1997. However, the Chinese government has allowed the island to keep its free market economy. 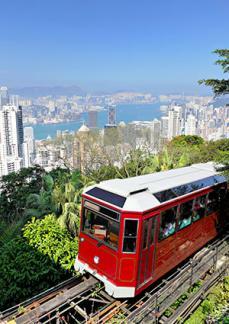 Running every 5 to 10 minutes, the Peak Tram crawls up a 552 meter incline to deposit you on the top of Victoria Peak. From here you have a stunning view of one of the world's liveliest cities. Lar Kwai Fong is an area many expats frequent for its bars, cafes, clubs and restaurants. Its expensive, like so much in Hong Kong, but if you go at the right time (usually any day except Friday and Saturday) you can take advantage of some very generous deals. From prehistoric times to its independence from the British in 1997, the Hong Kong Museum of History takes visitors on a journey through Hong Kong's fascinating past. There are a variety of travel packages available in China. Remember one of the easiest ways to get a visa into the country to receive an invite through a tour operator, so making plans before you travel can be beneficial. From Beijing you will take a trans-Tibetan rail to the Tibetan holy city of Lhasa where among other attractions you can visit Potala Palace - the home of the Dalai Lama. On the way to the Mount Everest base you will pass Gyantse, Shigatse and Sakya. The tour finishes in Kathmandu in Nepal. This Tibetan Adventure costs from $2,999 for 15 days. A Yangtse River Cruise is a terrific way to enjoy China. From Chingquing you will sail along Yangtse river, past such stunning scenery as the three gorges and one of the country's many, but always interesting, ghost towns. It costs $638 for four days. China is still a relatively cheap country to visit, but as western investors move into the cities, it is getting more and more expensive. Its old architecture is also having to make way for more modern developments. China will probably always be an exciting country to visit, but if you want to get a real taste of the old country it is recommended you visit as soon as you can.